34 Commercial Real Estate & Properties in Arundel are listed in 5 categories. We have 19 Industrial Warehouses Lease , 5 Retail ShopsLease , 4 ShowroomsLease , 3 Development LandsLease and 3 OfficesLease . 91 SQM over 2 levels Electric roller shutter with remote control access Wash bay & wide undercover breezeway 24/7 access with all weather access Automatic security gate Award winning design by builder One Sector Mancave unit 50 SQM sealed ground floor plus 41 SQM load bearing mezzanine. Front unit with excellent access. High clearance ground floor. Suit multiple uses. Dry clean storage with full size mezzanine, perfect for a Mancave, One Man Business or storing toys. For more information please contact Sandra Carder. Approximate If Applicable. 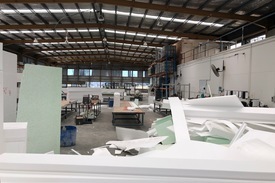 Large 1,740m2 Factory $15,080pcm + Outgoings + ..
47m2 ground floor factory / storage space 43m2 approved mezzanine can be used as office High access electric roller door Security gated industrial complex Close proximity to Brisbane Road, M1 Motorway Harbor Town Shopping Centre Plenty of natural lighting Approx Disclaimer: Ray White has not independently checked any of the information we merely pass on. We make no comment on and give no warranty as to the accuracy of the information contained in this document which does not constitute all or any part of any offer or contract by the recipient. Prospective purchasers / lessees must rely on their own enquiries and should satisfy themselves as to the truth or accuracy of all information given by their own inspections, searches, inquiries, advices or as is otherwise necessary. No duty of care is assumed by Orchid Avenue Realty trading as Ray White Surfers Paradise Commercial divisions toward the recipient with regard to the use of this information and all information given is given without responsibility. 47m2 ground floor 43m2 approved mezzanine Sliding door glass entry Air conditioned High access electric roller door Security gated complex Close proximity to Brisbane Road, M1 Motorway Harbor Town Shopping Centre Plenty of natural lighting Approx Disclaimer: Ray White has not independently checked any of the information we merely pass on. We make no comment on and give no warranty as to the accuracy of the information contained in this document which does not constitute all or any part of any offer or contract by the recipient. Prospective purchasers / lessees must rely on their own enquiries and should satisfy themselves as to the truth or accuracy of all information given by their own inspections, searches, inquiries, advices or as is otherwise necessary. No duty of care is assumed by Orchid Avenue Realty trading as Ray White Surfers Paradise Commercial divisions toward the recipient with regard to the use of this information and all information given is given without responsibility. Immaculate, high quality 600 SQM warehouse/office space in tightly held Arundel area. 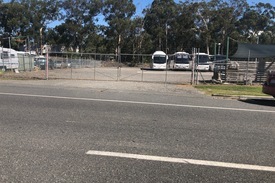 600 SQM total floor area 40 SQM carpeted office and air conditioned ground floor 50 SQM mezzanine storage area with forklift access Brand new tilt panel construction, available for immediate occupation Dual container height roller electric shutter Ample onsite car parking Secure gated estate with only 4 units in the complex Available now Approximate If Applicable For more information please contact Sandra Carder https://youtu.be/0Dn7xeeCxGg DISCLAIMER: Subject to the provisions of the Trade Practices Act 1974 and subject to any other non excludable statutory provisions. Ellison Specialised Properties Pty Ltd for themselves and for the Vendors of this property for whom they act give notice that: (i) all information given in relation to this property whether contained in this document or given orally, is given without responsibility; (ii) intending purchasers should satisfy themselves as to the truth or accuracy of all information given by their own inspections, searches, enquiries, advices or as is otherwise necessary; (iii) no person in the employment of Ellison Specialised Properties Pty Ltd has any authority to make or give any representation or warranty whether in relation to this property. 846 SQM total area including high bay warehouse & office 74 SQM carpeted and air conditioned ground floor office 70 SQM mezzanine storage area with safety rails and forklift access Brand new tilt panel construction Dual container height electric roller shutter Ample onsite carparking Secure gated estate with only 4 units in the complex Available now Approximate If Applicable For more information please contact Sandra Carder https://youtu.be/0Dn7xeeCxGg DISCLAIMER: Subject to the provisions of the Trade Practices Act 1974 and subject to any other non excludable statutory provisions. Ellison Specialised Properties Pty Ltd for themselves and for the Vendors of this property for whom they act give notice that: (i) all information given in relation to this property whether contained in this document or given orally, is given without responsibility; (ii) intending purchasers should satisfy themselves as to the truth or accuracy of all information given by their own inspections, searches, enquiries, advices or as is otherwise necessary; (iii) no person in the employment of Ellison Specialised Properties Pty Ltd has any authority to make or give any representation or warranty whether in relation to this property. This property is priced to lease and will not last long. An incredible opportunity for you to secure a large freestanding warehouse in the highly desirable Arundel industrial precinct. Two options available side by side. 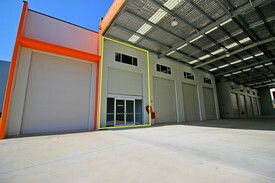 1740m2 Total Floor Area High Clearance Functional Warehouse Direct Truck Access Multiple Industrial Height Roller Doors Open Plan and Private Offices Ground Floor Showroom Rear Private Hardstand Front Rear Exclusive Car Parking Exclusive Male Female Amenities Kitchenette Lunch Room Multiple 3 Phase Power Outlets Call to inspect 7 Days! For further information please contact Brandon Johnson click on the link above. Approximately Disclaimer: Ray White has not independently checked any of the information we merely pass on. We make no comment on and give no warranty as to the accuracy of the information contained in this document which does not constitute all or any part of any offer or contract by the recipient. Prospective purchasers / lessees must rely on their own enquiries and should satisfy themselves as to the truth or accuracy of all information given by their own inspections, searches, inquiries, advices or as is otherwise necessary. No duty of care is assumed by Orchid Avenue Realty trading as Ray White Surfers Paradise Commercial divisions toward the recipient with regard to the use of this information and all information given is given without responsibility. 51m2 retail shop facing busy road External shop front in busy Plaza Grease trap connection for food use Previous laundromat tenancy Over 35 specialty stores This will not last, do not miss this opportunity Approx Disclaimer: Ray White has not independently checked any of the information we merely pass on. We make no comment on and give no warranty as to the accuracy of the information contained in this document which does not constitute all or any part of any offer or contract by the recipient. Prospective purchasers / lessees must rely on their own enquiries and should satisfy themselves as to the truth or accuracy of all information given by their own inspections, searches, inquiries, advices or as is otherwise necessary. No duty of care is assumed by Orchid Avenue Realty trading as Ray White Surfers Paradise Commercial divisions toward the recipient with regard to the use of this information and all information given is given without responsibility. 117m2 retail shop in Arundel Plaza Constant foot traffic Current shop is located at the main entrance of the Plaza 35 specialty stores Store is vacant available now Limited tenancies available Approx Disclaimer: Ray White has not independently checked any of the information we merely pass on. We make no comment on and give no warranty as to the accuracy of the information contained in this document which does not constitute all or any part of any offer or contract by the recipient. Prospective purchasers / lessees must rely on their own enquiries and should satisfy themselves as to the truth or accuracy of all information given by their own inspections, searches, inquiries, advices or as is otherwise necessary. No duty of care is assumed by Orchid Avenue Realty trading as Ray White Surfers Paradise Commercial divisions toward the recipient with regard to the use of this information and all information given is given without responsibility. 299m² Warehouse office space including Reception / showroom 171m2 on the gorund floor with 128m2 mezzanine area Electric roller door to warehouse area with fork bay access to mezzanine. Mezzanine area, large boardroom and 2 offices air conditioned Toilet, washroom kitchenette 2 undercover car parks Ample parking Zoned industry 2 3 phase power to sub board Security gated complex Approximately Disclaimer: Ray White has not independently checked any of the information we merely pass on. We make no comment on and give no warranty as to the accuracy of the information contained in this document which does not constitute all or any part of any offer or contract by the recipient. Prospective purchasers / lessees must rely on their own enquiries and should satisfy themselves as to the truth or accuracy of all information given by their own inspections, searches, inquiries, advices or as is otherwise necessary. No duty of care is assumed by Orchid Avenue Realty trading as Ray White Surfers Paradise Commercial divisions toward the recipient with regard to the use of this information and all information given is given without responsibility. 398 SQM total area including high bay warehouse and office 50 SQM carpeted and air conditioned office ground floor 80 SQM mezzanine storage area with safety rails & forklift access Brand new tilt panel construction Dual container height electric roller shutter Ample onsite car parking Secure gated estate Available now Approximate If Applicable For more information please contact Sandra Carder DISCLAIMER: Subject to the provisions of the Trade Practices Act 1974 and subject to any other non excludable statutory provisions. Ellison Specialised Properties Pty Ltd for themselves and for the Vendors of this property for whom they act give notice that: (i) all information given in relation to this property whether contained in this document or given orally, is given without responsibility; (ii) intending purchasers should satisfy themselves as to the truth or accuracy of all information given by their own inspections, searches, enquiries, advices or as is otherwise necessary; (iii) no person in the employment of Ellison Specialised Properties Pty Ltd has any authority to make or give any representation or warranty whether in relation to this property. Areas From 398 Sqm* - 846 Sqm* From $ 59 700 PA + OUTS +..
Be fast to secure the last remaining units in this brand new gated estate in the tightly held Arundel precinct. Sizes from 600 SQM 846 SQM All units feature carpeted and air conditioned office plus load bearing mezzanines Tilt panel construction with architecturally designed faÃ§ade. Dual container height electric roller shutters Ample onsite car parking and excellent truck access Available now Approximate If Applicable For more information please contact Sandra Carder Check out drone footage; https://youtu.be/0Dn7xeeCxGg DISCLAIMER: Subject to the provisions of the Trade Practices Act 1974 and subject to any other non excludable statutory provisions. Ellison Specialised Properties Pty Ltd for themselves and for the Vendors of this property for whom they act give notice that: (i) all information given in relation to this property whether contained in this document or given orally, is given without responsibility; (ii) intending purchasers should satisfy themselves as to the truth or accuracy of all information given by their own inspections, searches, enquiries, advices or as is otherwise necessary; (iii) no person in the employment of Ellison Specialised Properties Pty Ltd has any authority to make or give any representation or warranty whether in relation to this property. Corner of Napper Road and Daintree Drive, Arundel. Great car parking near entrances and underground.. Coles Supermarket and bottle shop. Arundel Tavern. 7 Eleven Service Station. Amcal Chemist. Medical services. Plus 30 other specialty retailers. Why come to Arundel?? 2 large schools in the area AB Patterson 1,500 students and Parkwood state school 1,200 students Good middle class suburb with many family residences surrounding the Centre. Large over 50s complex immediately opposite the centre with plans for more growth. Near the M1 for quick access to other growth areas Nerang, Coomera and Oxenford. Landlord offering incentives for good incoming tenants. Now offering great Leasing opportunities with shops available from 1662m2 to 32m2..
LEASING AT $50,000 + GST PER ANNUM APPROX 146sqm OFFICE WITH 109sqm WAREHOUSE PREMISES IS VERY WELL PRESENTED WITH QUALITY FITTINGS. FACING THE STREET IN A MODERN SECURE COMPLEX EXCELLENT EXPOSURE TO BUSY IVAN ST WITH GOOD SIGNAGE SHORT DRIVE TO M1, BRISBANE RD AND GC HWY. The property is located along Brisbane Road while access to the site is via Technology Drive Arundel. 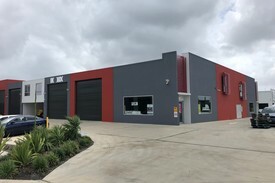 Located between both Harbour Town and Westfield Helensvale positions this property in a convenient location while providing easy access to the M1 Motorway. The property features: Large high clearance metal clad warehouse Building 1: 1,740sqm Large amounts of power available Office facilities available Ideal for light manufacturing and warehousing or showroom operator due to location. For further information on this property and inspection times contact CBRE today. 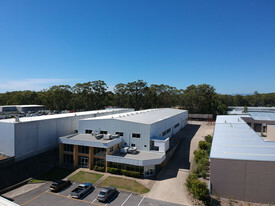 This 215m2 concrete tilt panel warehouse has an office and mezzanine, 3 phase power and amenities with easy access to Brisbane Road and the M1. 215m2 tilt panel warehouse with office and mezzanine Gated and secure Kitchenette and bathroom amenities Three phase power Industry 2 Rear garden Onsite parking Available now, don and #x27;t miss out on this affordable warehouse with easy access to Brisbane Road and the M1. Across From Harbour Town Shopping Centre! $4,225 + Outgoings + GST ..